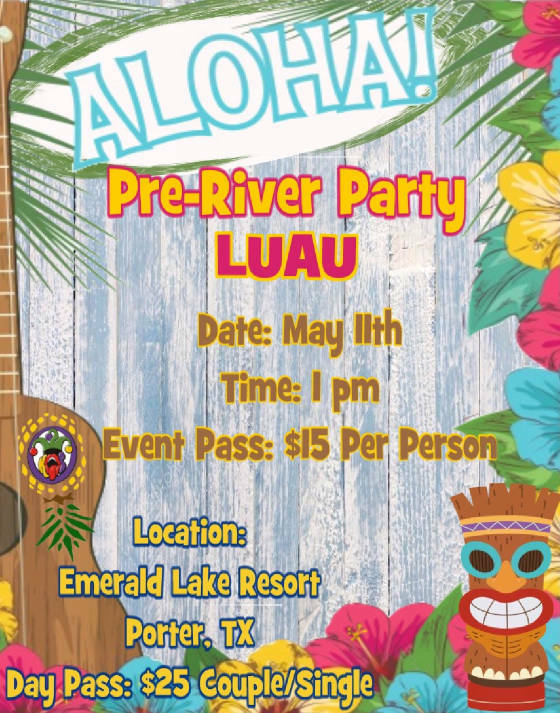 Join us for our Pre-River Trip Luau! We will be hosting this event at Emerald Lake Resort in Porter, TX just north of Houston. The event pass includes unlimited frozen drinks, drunken snow cones, and pulled pork sliders! Please feel free to bring your favorite rum or any liquor you might want to spike the drinks and snow cones with! Also come say Aloha to Sissy the “Birthday Girl”...Her goal is to get as many people “lei'd” as she can!!! ELR has 2 hot tubs, a pool, covered area just off the pool, a lake with beach front, outdoor pavilion, tent camping, rv spots, and rooms for rent, and a private club house for us with a dance floor & pool table. The party will be BYOB...bring you favorite spirits, drinks and snacks. 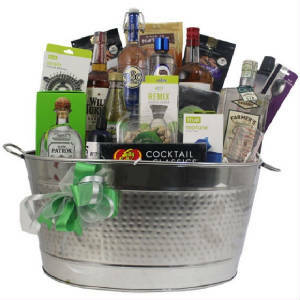 Anyone who donates a bottle of liquor will receive 4 tickets! 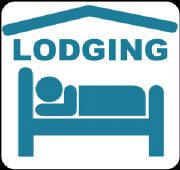 You MUST Contact Emerald Lake Resort to reserve Tent & RV Spots or Rooms!